Celebrate the new year with the Champagne Vapor Ball, it's yours free just by logging on to WGT today, 12/31/17. A cork popping sound and bubbly vapor trail on all your shots are the perfect ways to ring in 2018. 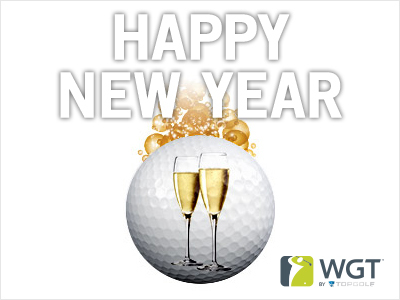 Cheers to more golf, CC Events and YOU in the new year! *Special offer for WGT players who log in and play WGT on 12/31/17, receive 1 free Champagne Vapor Ball (L0+). Get the New Year's Party Started Now! Are you ready to swing into 2018?! We're getting the party started NOW with CC Event #63. Compete now through Fri, 12/29 for your chance to win in-game rewards, including these 2018 virtual tee markers and flags. 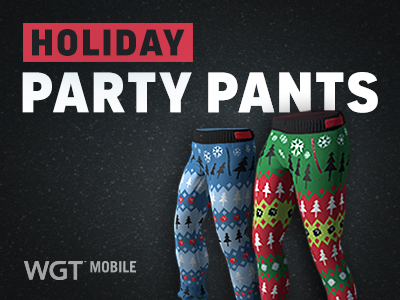 Get your awesome on in WGTChampion's Holiday GoodTime All-The-Fun Tournament. It's crazy, fun, free and it's happening NOW! We're talking ridiculous greens and Set Of The Week, so let's have some fun. Tournament runs until Jan. 2 and is open to all WGT players. Unwrap Something From Us Today! 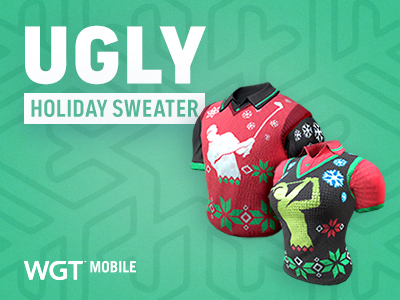 Log in to WGT Golf Mobile today and get a free Ugly Holiday Sweater. We wanted you to feel like the family you are to us, so we're giving you a gift that only family can get away with... This sweet thing of beauty is yours, just by logging on to WGT Golf Mobile. Log in ASAP (or download now if you haven't!) and don this festive Ugly Holiday Sweater. Because, let's be honest, it doesn't get much better than this. So grab your eggnog, throw this on your avatar and let's all celebrate in our ugly sweaters together! This Ugly Sweater is only available today as part of this promotion, but you can still get our Ugliest Holiday Sweater in the Pro Shop Apparel section! *Special offer for players who log in and play WGT Golf Mobile on 12/25/17. It's Snowing! And It's All Our Fault! Celebrate the season by adding a little snowy magic to your game. 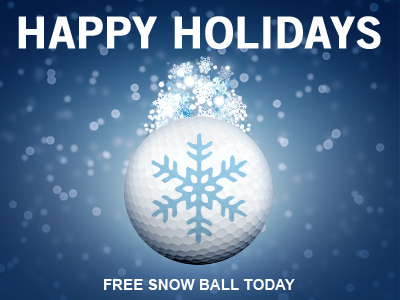 We're gifting you a Snow Vapor Ball, just for logging in to WGT today, 12/24. 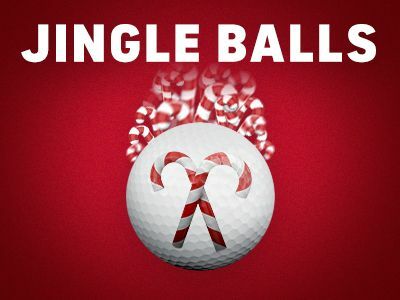 Get into the holiday spirit by watching tiny snowflakes fall to the ground and listening to the sound of a snowball splattering after you hit this virtual golf ball. There's "snowbody" who deserves this more than you! *Special offer for WGT players who log in and play WGT on 12/24/17, get 1 free Snow Vapor Ball. 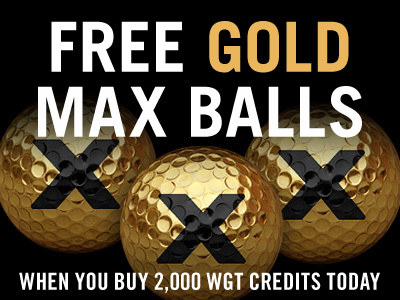 Start this holiday weekend right with 3 free limited edition Gold MAX Balls when you buy 2,000 (or more) WGT Credits! These flashy, top performing virtual golf balls give you a slower swing meter to help you "ding" more shots and lower your scores, plus the matching gold vapor trail gets you in the spirit of the season and helps you trace your shots through the air. We can't even link you to these in the WGT Pro Shop because they're not available for regular purchase. Don't miss out on their limited availability! Just buy 2,000 or more WGT Credits today through tomorrow (12/21/17-12/22/17) on WGT, and get 3 free special edition Gold MAX virtual golf balls. Offer valid on one 2,000 or more WGT Credit purchase only during the promo. Deck--the halls--yourself with holiday threads. It's not every day you can get away with (and be cheered for) wearing holiday apparel, let alone UGLY holiday apparel. 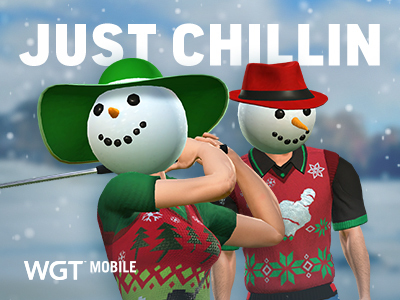 But 'tis the season and we've got you covered so you can get appropriately into the spirit in WGT Golf Mobile. Not all ugly holiday sweaters are created equal. 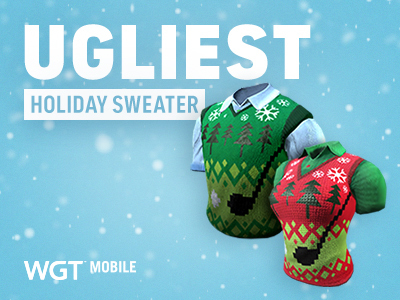 Take it up a notch with the Ugliest Holiday Sweater, guaranteed to make you a hit on the virtual golf course. You'll get both the female and male version to match the avatar you currently have equipped. You'll get both the female and male version to match the avatar you have equipped. You'll be up to snow good with this special edition Snowman Head... Rumor is you'll stay pretty chill out on the course with this one. We're Shaking It Up in CC Event #62! Get to shaking with these festive Snowman Snow Globe tees and flags – they're yours for the winning in CC Event #62 this week. Compete now through Sat, 12/16 for your chance to win in-game rewards, including these virtual tee markers and flags. Don't know what Course Builders and custom courses are all about? CC Event #62 runs 12/15-12/16 with multiple 4-hour Clashes, so be sure to play as many games as you can for your club and keep your eyes on the leaderboard. 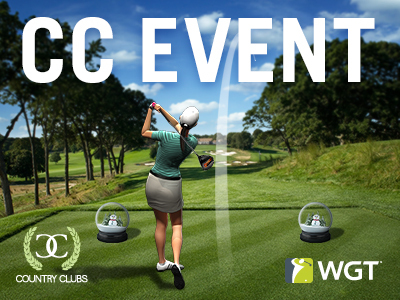 Play WGT today and check out the latest features including a new Odyssey putter, swing meter stats to help you better understand your game and a new virtual golf ball effect just in time for the holidays! 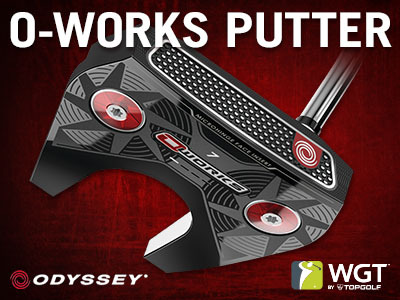 It's all about improved putter performance with the Odyssey O-Works Putter. Better balance and better forgiveness, featuring meter increments of 25, 50, 100, 150 and 300 ft, unlocking at Level 19 now in the Pro Shop. Add some sweet cheer to your game with the new Jingle Ball Effect! With this effect, any virtual golf ball you have equipped will feature a flying candy cane vapor trail and jingle bell sounds on each shot. "Golf balls ringgg... Are you listening?!" 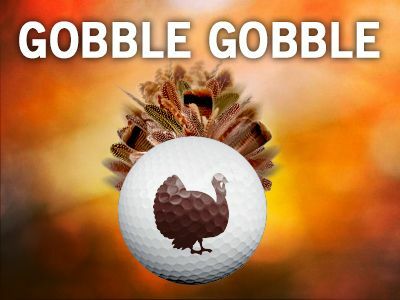 Now, you can gobble it up on the virtual golf course anytime you want with the Turkey Ball Effects. Add flying feathers and a turkey gobble to any virtual golf ball in the game, don't be a turkey – go for it! 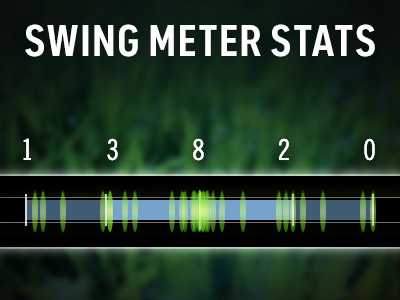 Better understand how you're hitting with new Swing Meter Stats. Now, you can see how often you've hit the ball early, late or just right. The stats are available for each round, in all game types and regenerate with each game. See your stats each round on the new Meter Stats tab on the scorecard. 2018 Virtual Tour: Coming in January! A new season of the WGT Virtual Tour kicks off in the new year, be sure to not miss a month in the year-long tournament series! 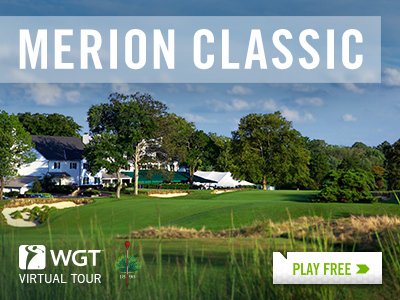 In the meantime, there's still time to compete in the December Major tournament on Bethpage Black. Removed Live Gamer carousel, more info here. Staff Picks: What's Your Favorite Apparel Item? Have you added a little style to your WGT Golf Mobile avatar yet? 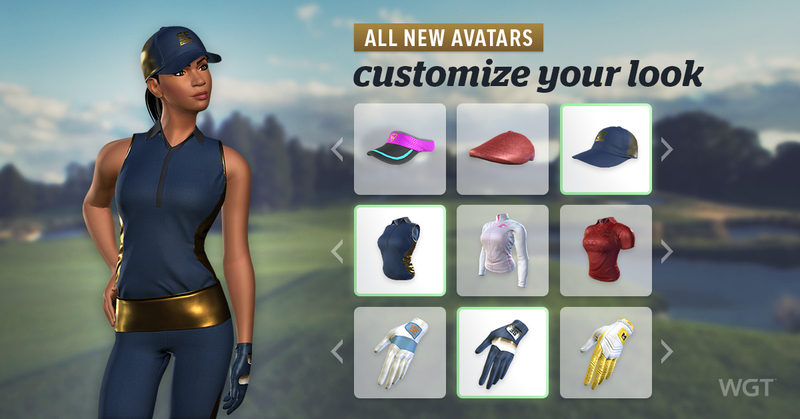 This fall, we released new Apparel that lets you change your avatar's look with new shirts, pants, hats, shoes and glove options – plus they each add unique benefits to your game! Why: Being from the “old world” where you more often than not wear warmer clothes, this jacket recreates this theme the best. On top of that, it features a stylish design that appeals to me most compared to all the other available Apparel items. Why: I really like how fancy this hat looks. It has a simple design, but for some reason, it can add a whole new level of class to any user that uses it. Combining the Clayton & Mills headwear with any gloves, shirts and pants that share a similar color scheme or the same colors, just brings out this fancy look to everything. It's the best headwear to me, as it definitely stands out amongst the rest of the headwear items. Don't forget, you can check out the newest Apparel options on WGT Golf Mobile.